A great, family friendly resort with pristine beach and great service. I liked that it was all inclusive. Didn't really need to leave for anything. I loved the music! Gulf front, amazing views, staff is so friendly and attentive, great food in the hotel (Voyager's and Perdido Pizza were delicious), Stacy at the bar is so much fun, excellent live entertainment too! Nothing but good things to say about this experience! Awesome location, very clean and great view of the beach. We had a great experience staying here. Great location and pricing. So many hotel amenities, great staff, cleanliness and the food was well priced. The extra perk was the complimentary valet!! The guys at valet were awesome!! They were very prompt and helpful. We definitely recommend staying here. Great place to vacation. Good food , location, beach was great. Great hotel and great staff. I will be back in the future. Such a beautiful place and the staff is very nice. The hotel was nice, liked the beach, pool and the complimentary valet. Wasn’t a big fan of the food. But I’d stay here again for the convenience of relaxing at the beach. Very nice. Convenient to everything. Fun atmosphere whether you are a child or an adult. Can't wait to come back. Parking is horrible. We had to park out by the road and that’s a really long walk! Very nice hotel; many food options and amentities. Beautiful views and right on the beach. We arrived a little early but was still able to check in which after a long car ride was great news. Live music by the pool and awesome breakfast buffet that is reasonably priced! 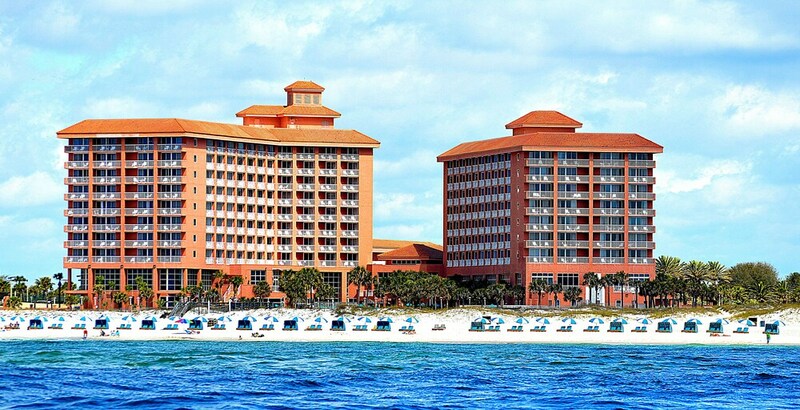 Perdido Beach Resort places you within a few miles (5 km) of Orange Beach Indian and Sea Museum and Adventure Island. This 3.5-star hotel has 346 guestrooms and offers a private beach, an outdoor pool, and an indoor pool. There are ample dining options with 4 onsite restaurants, including Voyagers, which specializes in American cuisine and serves dinner, and Latitude 30 with its ocean views. Savor a meal from the privacy of your room with room service, or get a pick-me-up at the coffee shop/café. For your convenience, a buffet breakfast is served for a fee each morning from 6 AM to 11 AM. Guests can expect to find free WiFi and 37-inch a flat-screen TV with digital channels. Beds sport premium bedding and the bathroom offers a hair dryer and designer toiletries. Other standard amenities include a furnished balcony, an iPod dock, and a refrigerator. At Perdido Beach Resort, guests enjoy a private beach, an indoor pool, and an outdoor pool. Free valet and self parking are available, and there's also an area shuttle for a fee. Front-desk staff can answer questions 24/7, and assist with dry cleaning/laundry, concierge services, and securing valuables. Other amenities at this beach hotel include a children's pool, a 24-hour fitness center, and a spa tub. Thank you for choosing the Perdido Beach Resort. We appreciate your feedback! Thank you for choosing the Perdido Beach Resort !! Thank you for choosing the Perdido Beach Resort. We appreciate you taking the time to write such an amazing review! Thank you for choosing the Perdido Beach Resort. We appreciate you taking the time to write such an awesome review. Thank you for choosing the Perdido Beach Resort Keith. We are excited to know that you had a good time with us. We hope to see you again! Voyagers - Restaurant specializing in American cuisine and serving dinner. Ocean and pool views. Open select days. Latitude 30 - Family restaurant and bar specializing in American cuisine. Open daily for brunch, breakfast, lunch, and dinner. Ocean and pool views. Kid's meals available. Splash Bar & Grille - Poolside delicatessen and bar specializing in American cuisine. Open daily for lunch. Alfresco dining available (weather permitting). Lobby Lounge - Piano bar specializing in local cuisine. ocean and pool views. Open daily. Gulf Beach Pizza Company - Café specializing in American cuisine. Open daily for lunch and dinner. Ocean and pool views. Perdido Beach Resort features a private beach and outdoor tennis courts. The hotel has an indoor pool, an outdoor pool, a children's pool, and a spa tub. Other recreation options include a 24-hour fitness center. The preferred airport is Pensacola, FL (PNS-Pensacola Intl. ): 50-min drive, 28.9 mi/46.5 km.